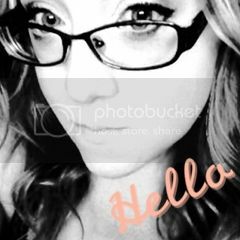 Kimberly Franklin: Did someone say GIVEAWAY???? From the moment I randomly stumbled upon this lovely lady's blog, (many months before her novel released) I knew this lady was awesome and that I would LOVE her debut novel, The Body Finder. You're probably wondering how I was so certain of this fact. And I do have an answer: Her name is Kimberly. But you want to know the best part? I was 110% right! [Brushes shoulders off] No lie! All joking aside: The Body Finder by Kimberly Derting has been one of my favorite reads for the year. Not that I ever expected anything different. So, naturally, the moment I finished, I knew I HAD to interview Kimberly. Like immediately. I know you guys are practically jumping up in down in your seats, like giddy school girls and boys, right now. So, I won't prolong this any longer. Cue Awesome Author Interview now! Let me get right to the important stuff. Your cover. The first time you saw it, what did you do? I think I cried a little. Not so much tears of joy (although, yes, I'm sure that was part of it), but mostly out of relief. I'd been stressing over the cover for months, even having nightmares about it in which there were these incredibly vivid--and very ugly--covers involved. So realizing that I LOVED MY COVER was such a weight off my shoulders. It is beautiful. I hope to have a cover as pretty as that one day! 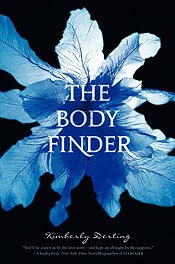 One thing I notice the most about the cover is the contrast between the breathtaking blue flower in the background and the sharpness of the title: The Body Finder. It's an eye catcher, for sure. I, myself, am very bad at coming up with book titles. And I love your title so much. It's just so... simple, and I think that's the key to the beauty of it. How did you come up with the title? And did you ever have anything else in mind? When I first started writing the manuscript, I used the title THE BODY FINDER as a placeholder name on my computer because.... well, Violet could find dead bodies. I was POSITIVE that my publisher would change it so I'd never seriously considered any alternatives. Months later, I found out that Sales & Marketing loved the title, so it stuck. Now that I've let myself get attached to it, I'm so happy that it did; I can't imagine it being called anything else! Me neither! It really is perfect, in every way imaginable. So, I have to admit, I have a crush on Jay. (To everyone reading this, it's a shocker, I know.) And I was wondering how you came up with his character, and why you made him so sweet when in this day and age, YA is all about the bad-boy? I'm actually not a fan of the bad-boy, not in real life and not in my books. I get the appeal, and like reading about them, but they just don't "do it" for me. I like a nice, sweet, funy guy. And I really liked the idea of Violet and Jay being friends first, having that history together before getting involved. Who was your favorite character to write? And, has it changed since you began writing the sequel? Aside from Violet and Jay, I fell in love with Chelsea. She's the say-it-like-it-is kind of girl, even when people don't always want to hear-it-like-it-is! And because of that, Chelsea plays a much bigger role in the second book, Desires of the Dead. I can't wait! I really do love her, and that may just be because she reminds me so much of my sister in that say-it-like-it-is kind of way. With that being said: Did you base any of your characters on anyone you know, personally? Oh, Kim, you're so.... devious. I love it!! Ha-HA! As a writer, I always spend way too much time trying to figure out what POV I want to write my stories in. So, I'm curious to hear why you chose 3rd person POV, opposed to the norm for YA of 1st person. I've written in both 3rd and 1st person, and I'm not sure it was a conscious decision to write The Body Finder in 3rd person. I think I'd written several chapters (and really liked them) before I was even aware that was what I was doing! Amazing! I love getting a inside look into authors minds!! Do you happen to have a favorite scene in The Body Finder? Second to only the Jay and Violet scenes (because, hey, I'm a sucker for romance!) I loved the serial killer scenes, too! They added this underlying eerie-ness and urgency to the novel. It was fabulous!! Speaking of editors: How many drafts of The Body Finder did you write (obsess over) before you knew it was ready to query? Fortunately (or unfortunately), I didn't have much time to spend rewriting or obsessing over my drafts. I was scheduled to go to the BEA's writer's conference at the end of may and I only finished The Body Finder in the beginning of the month, so I only had a few weeks to shape and polish before I was off to pitch it to agents and editors. It was both exhausting and incredibly rewarding (that was where I met my agent!). Wow! I think it's amazing that you met your agent at that conference. Sounds like it was meant to be. But I'm curious, since The Body Finder's querying process wasn't the typical experience, did you ever query any other novels, and what was you experience? Did you ever get discouraged? Since I met my agent at a writer's conference I didn't do any querying for The Body Finder, but I had spent years (and years!) querying on my original manuscript, a horror novel that I'd written in my early twenties and continued to rewrite (and obsess) over for the next fifteen years. I have STACKS of rejection letters for that book! So discouraged, yes, I think everyone going through this process gets discouraged sometimes. I have to say: I'm not looking forward to those rejections or feelings of discouragement. But, it's apart of the experience, and almost a right of passage for an author, I think. Most of the time, anyway. So, do you have any suggestions for all of the aspiring authors out there? I really believe that the people who make it are the ones who never give up. Like I mentioned above, I have stack of rejection letters, and I doubt there are many published authors who can (honestly) say they have none. It's the rare exception that someone writes a book, pitches/queries, and it sells overnight. R-A-R-E! Moving back to The Body Finder, I've read there will be a sequel, Desires of the Dead. Can you reveal any deep, dark secrets about the sequel?? Okay, well, can you tell us if there are any steamy love triangles headed our way?? Can you at least, maybe, reveal the release date for Desires of the Dead? As far as I know (which doesn't always mean anything! ), it's scheduled for March 2011. Although in publishing these things can change in an instant. Thanks for that, Kim! I'll be sure to circle the month on my calendar right now!! Lastly, I've come up with a few questions--kind of a flash round--to be answered quickly, off the top of you head. Though, I wouldn't really know if you answered them quickly or not... since I'm not there! Ha-ha. Snacks: salty or sweet? Sweet, always! What's the one food you couldn't live without? Skittles. Say you met a genie and he agreed to let you bring ot life one character from any book, who would it be? Babs (from Some Kind of Normal). I just know we'd be friends. I want to thank Kim for being such a doll and taking the time to answer all of my pressing questions. Thanks, Kim!! Be sure to pick up your copy of The Body Finder (in book stores nationwide) today! 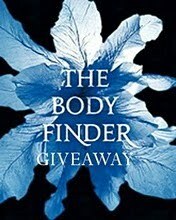 Now, for The Body Finder Giveaway!! But this just isn't any ole book giveaway. Nope! Not at this blog, baby. I'm doing much better than that! I am actually giving you guys a chance to win a personalized, autographed copy of The Body Finder! How cool is that?! Personalized, autographed copy of The Body Finder by Kimberly Derting and chocolate (or candy of some sort). Because, after you read this book, in all its greatness, you will want the comfort of CANDY! I mean, that serial killer is one scary dude! Seriously!! 3) You must fill out of the form below. Now, how easy was that? But wait, there are ways to get extra entries. +2 for Tweeting about this contest (@kimlfranklin). I'll even give you 2 extra entries for following me on Twitter. 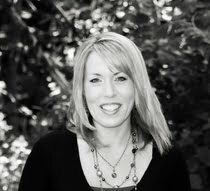 And 2 more extra entries for following Kimberly Derting on Twitter, too! +4 for posting my, The Body Finder, giveaway in the sidebar of your blog or website. +5 for blogging about this giveaway. There are a lot of extra entries up for grabs here! The contest deadline is August 11, 2010. So you guys better get busy now! Believe me, you don't want to miss out on this! Have fun, everyone! And good luck!! Great interview! I'm psyched to read the book. Also, I just looked through about 500 Kimberly Franklins on FB and couldn't find you. Please stop by my blog and click on my FB link and ask to friend me. Hugs to you, and best wishes to Kimberly (funny name) Derting on the success of The Body Finder!! Am I allowed to enter to win the book being international? I own two autographed copies, so I won't enter, but whoever wins won't be disappointed. AWESOME interview! Don't you just love her?? I'll friend you up ASAP! Lindsay - Of course you can enter!! So enter away! And good luck! Heidi - Aren't you sweet! That book is great and you are so right. Whoever wins will not be disappointed! Look at you with a form to fill out!!! So professional!!!!! Awesome interview. Looking forward to getting my hands on the actual book! BTW, I left you some love on my page. I hope you drop by to pick it up and pass it on! I really want to know how you get the most awesome interviews ever. Seriously. I did sign up for the contest and will be doing all my posting, etc. this evening. Christine - It's really easy to get these interviews! And Kim is incredibly sweet and awesome! You will love her book!! Great interview. I hope I win the book. I thought I was following you. I check your blog all the time. I just fixed it! Theresa - No worries, I do that sometimes too. I think I'm following something but I'm not. LOL. Good luck!! KIM YOU'RE THE BEST!! Wait a minute... there are two Kims here!!! In that case... BOTH KIM'S ROCK!!! Awesome interview!!! Awesome Giveaway!! Good Luck to everyone! That was an excellent interview, ladies. Great question, Kimberly! This is a great interview. Thank you so much for opening our eyes to another wonderful author. 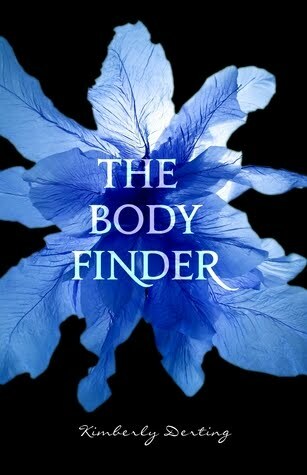 Can't wait to read The Body Finder!! Thanks for the interview! I really need to go to GoodReads and start adding books to my list. Like REALLY. Great interview and thanks for the chance!! Awesome interview. I somehow have managed to become even MORE excited about it. this is on my to read list...which is a very long list...but its near the top! fun interview, looking forward to reading The Body Finder...it sounds really interesting! AMAZING!!!!!!!!! i must agree there is something to be said about someone with the name Kimberly! lol. Great interview & book sounds fantastic! Really Kool Interview, I Have So Been Dying To Get My Hands On This Book. Awesome Contest And I Would SO Love To Be Entered And I Already Filled Out The Form....^_^. Great interview. She seems so personable that it makes me what to read the book more :) And the cover is pretty awesome! That is a beautiful cover! Thanks for an awesome interview, the book sounds great! I like the questions about which character she would bring to life. That's a good one. Super interview! She seems like such a sweetheart!! And The Body Finder seems so creepy but fabulous. And this contest rocks!! I had meant to comment yesterday and things got crazy. But I'll be back to enter after I've tweeted and sang the praises of your awesome contest! Fabulous interview! I'm so looking forward to reading The Body Finder. Yay! What a great interview! I always love hearing about how authors never give up... and make it! Thanks to both of you for sharing. Amazing, amazing interview! I'm so excited for Desires of the Dead! I understand how it must be frustrating to work on something for so long to have it rejected so many times, but in the end, you got an AMAZING book published! I'm halfway through the Body Finder, and so far, I rate it five stars! Thanks for the giveaway. wonderful interview! I am DYING TO READ THIS ONE!! Please please enter me!! ;o) Wonderful interview! AMAZING GIVEAWAY! i loved this book and it would be an honor to owned a SIGNED copy of it! thanks soo much!! Awesome interview and contest!! You're on a roll girl!! I love the cover and title as well. It really pulls you in. I bet it is easier to interview someone whose book you truly enjoy! Great inverview. Ooh! Good interview! I really, really want to read this one. Great interview, I've heard so much about this book I can't wait to read it. Great giveaway! I love your interviews Kim!!! Can't wait to get my hands on this book!!!! I've read so much about this book! It sounds great. I think it's time to pick it up. Oooh I loved the Body Finder! Jay was such a relief in the sea of bad boys, and the cover was just gorgeous! Can't wait for the next book! The book really sounds incredible. I can't wait to read it, whether I win it (I HOPE I HOPE I HOPE!) or go out and buy it. I've heard really good things about this book all over the hinterwebs, I'm excited to read it! Oh, sure! See what happens when I go AWOL for too long? I nearly missed the fun. However, to make up for my absence, I am devoting a full post to this contest - which I never do - and fulfilling every other possible pointage gain (except Twitter, which I don't do yet). Yes, I want it that bad!! Ha ha ha ha ha! Awesome interview! I've definitely been wanting to read this book! it fascinates me that you liked writing the serial killer's parts. I am enjoying writing from my villains POV right now and I am glad to know that I am not weird because of it. Great interview Kimberly and Kimberly. I read this book and I loved it. It's such a refreshing perspective in the teen paranormal genre. Awesome interview! I've been wanting to read The Body Finder for a long time now (it's been on my list for too long :p). Also a fan of Evanescence! And I don't think I could live without Skittles. The sour ones are the best :). Great interview - great contest - super great book! I have already read it but the copy wasn't mine and I would love to own my own copy. I hope I win! Thanks for hosting. I love your interviews. They're always fun. :) And this sounds like SUCH a great book!!! I keep eyeing this book. Now I need to go read it! Thanks for hosting :D and doing the interview! great interview this book sounds so good been wanting it for a long time and heard great things about it on my wish list! great giveaway thank you! Wonderful interview. Looking forward to reading this book. Thanks. Great interview! I've been meaning to read The Body Finder for a while now, and the second book "Desires of the Dead" looks great! I haven't read the blurb or anything, since I'm afraid of spoilers. I enjoy reading the interview. Cant wait to read it. Also thanks so much for the giveaway! Wow, great giveaway! Thank you for hosting. New follower. Thanks for the giveaway. I'm a new follower and subscriber. I'd love to be in the contest. Thank you soooo much for this, I am in love with The Body Finder it is one of my favourite books so far this year, I loved it sooo much I emailed Kimberly to tell her how much I loved it and she email me back, she is such a lovely person. Can't wait until Desires of the Dead is released, 2011 is so far away! I loved this book and anticipating the sequel. It was intense, fast paced and one of my faves of the year! I've already read this book, but I reeeeaaally want my own copy (I borrowed from a friend), so thanks for the contest!!! Thanks, Hope to win this book. Wow I have been DYING to read this book! Thanks for the contest. Thank you for sharing this with us and for the contest. I'm following now and added to my sidebar. Can't wait to read the book! Awesome giveaway! Thanks for making this international! Great giveaway. This sounds like a wonderful book.